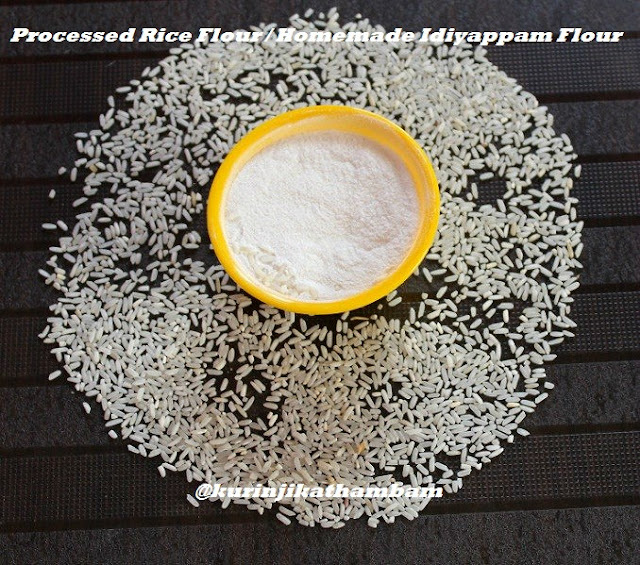 Processed rice flour is a very useful ingredient which is used in many recipes like Idiyappam, murukku, seedai, kozhukattai etc., This is the good procedure to make it once and reuse later whenever you want. 1. Wash and soak the rice for 3-4 hours. You should soak it for atleast 3 hrs. 2. Then drain the water completely and spread over the cotton cloth till it becomes dry. It will take 20-30 mins approximately. Please ensure that there is little bit moisture even though it has to look dry. 3. Grind them into batch wise using the mixer grinder. You should grind into a fine powder. 4. Sieve the ground flour using the siever (sallladai). So that some un- ground rice particles gets deposited at the top of the siever. Keep this in a separate plate. 5. Do this 4 the step for the remaining rice. Again do this for the un-ground rice particles. 6. Heat the pan and dry roast the flour little by little until nice aroma comes out. You can remove when you can’t hold the flour when you press between your fingers also. You can otherwise remove if there is no moisture at all in the flour. 7. This is the correct stage, take it out from the flame and allow it to cool down completely. Store it in an air tight container for later use. 1. 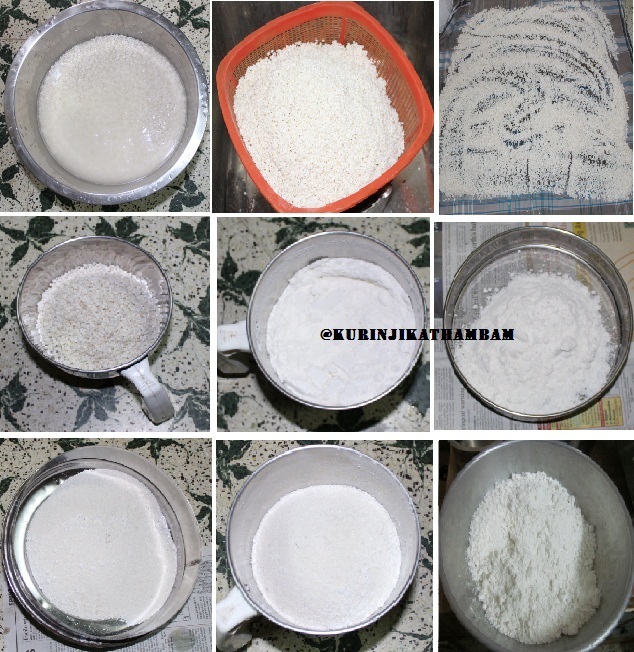 If you are making in large quantities, it is better to give it out to flour mill. 2. You can keep it until 6-9 months. 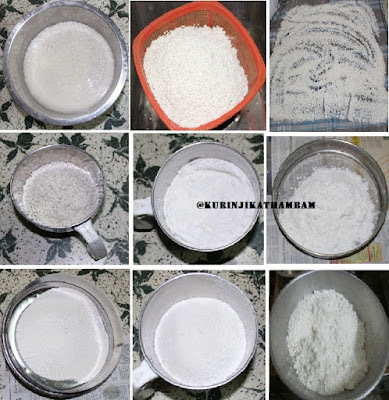 Can i use boiled rice instead of raw rice mam? @Anonymous: No, you should use raw rice only. I soaked and dried rice in shade for a long time till the rice is quite dry( it was rainy season)it got a brownish colour and foul smell. Still I gave it to the mill for grounding. It still has a foul smell. Please help me to fix the flour.